YakkoChristine — Flute Trio played by one person. “Dona Nobis Pacem” is a song traditionally sung to a Latin text; the words, which mean “Give us peace”, come from the Latin Mass. 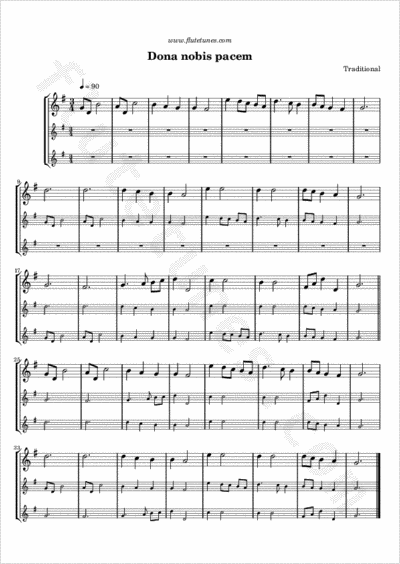 The origin of the melody is unknown, although it is sometimes attributed to Italian Renaissance composer Giovanni Pierluigi da Palestrina. It is often sung as a three-voice canon, and played this way it makes a simple but nice Renaissance-style flute trio. Thanks to Nic for suggesting this piece!